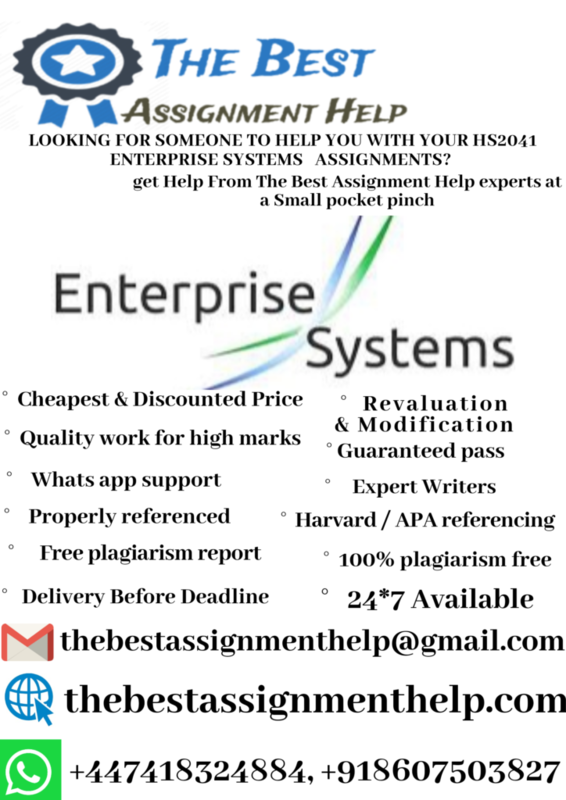 Assignment Description: In this assignment you need to read a case study on Enterprise Resource Planning (ERP) implementation and answer three questions. This assignment will let you define and describe the evaluation of Enterprise Resource Planning (ERP) systems. It will also let you examine and judge the role of EPR and their adoption process in organization. Most importantly, you will learn to analyse and develop arguments organisation’s ERP selection, planning, implementation and ongoing support phases. Student will also argue about the roles of key stakeholders in an organisation’s ERP selection, planning, implementation, adoption and ongoing support phases.  What are the key goals Hershey wanted to achieve using an ERP system?  Discuss the pros and cons to customising the system. Use examples relevant to Hershey.  How should Hershey have handled change management during ERP implementation? Quality of arguments in relation to an organisation’s ERP selection, planning, implementation and ongoing support phases. Analytical capability of the roles of key stakeholders in an organisation’s ERP selection, planning, implementation, adoption and ongoing support phases.